2014-10-01 18:43:19.0 Vital to horn players..
come printed in their own book, separate from the piano accompaniment, which is fantastic. The book quality is nice and the music is delightful and essential to all horn players! Well worth the $12 I spent. Why? because this isn't just a book for a one time use. If you treat this book right it will last your entire career, and the music will always be fun and exciting to play, plus these concertos are key in developing good technique and fundamentals. Bottom line, if you're a horn player who is serious about the instrument and the literature, invest in this book, you won't regret it! 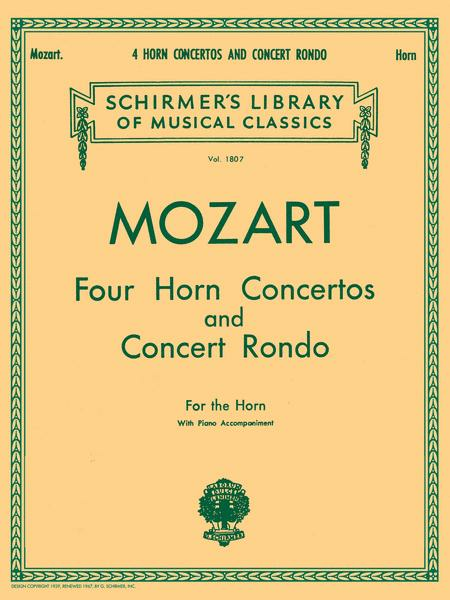 is perhaps the most obscured and incorrect version of the Mozart horn concerti you could buy. Articulation and dynamics printed are placed there by the editor and was not what Mozart wrote in his original manuscript. Also, this edition is printed in F instead of the original D and E-flat keys. Save yourself the time and money and buy either the Henle Verlag editions or those edited by Eric Ruske. They are the closet and most accurate Mozart horn concerti available. 39 of 69 people found this review helpful. Kling's edition, with the horn part transposed to F. As a student of horn, one should be learning from the parts in the original (D and Eb) notation. This edition contains many articulations which are not in the style. The piano parts are difficult and unnecessarily awkward at times, and have several important orchestral lines omitted. 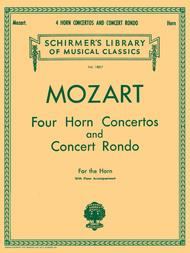 The 1st movement of the 4th horn concerto contains a nearly impossible page turn. This edition is very common. Many people have this edition. Many teachers and players know about this edition, and have a certain distaste for it. I would not recommend this edition, it is bad. -but it is inexpensive, if you can forgive its flaws (and it has many) you will a lot of money. 39 of 73 people found this review helpful.